Simple shapes and pure colours will always be on time. Moreover, this type of style never gets old. 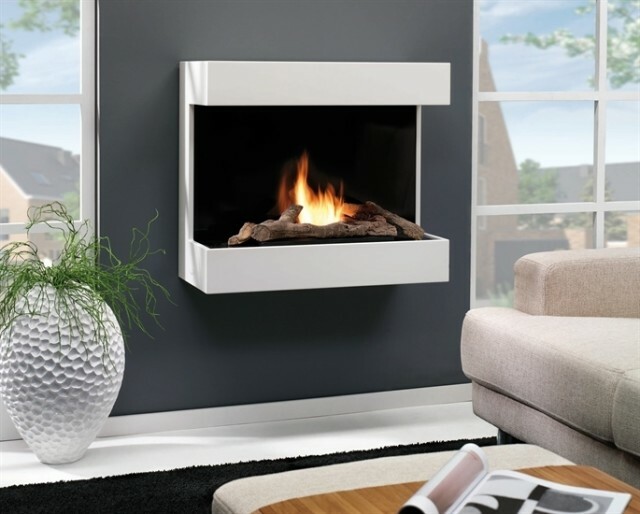 With a growing number of interiors arranged in a contemporary style, an Umbria bio ethanol fireplace by RubyFires will surely appeal to many advocates. Bio ethanol fireplace’s structure is made of high quality MDF plate, whose surface is lacquered with, white paint resistant to high temperatures. Steel insert lacquered with a heat-resistant ink cartridge is placed inside the arrangement. Burner with a volume of 2 liters allows for 4 – 5.5 hours of effective burning. The tank is equipped with a special ceramic insert that absorbs biofuel like a sponge, which prevents the spillage of fuel in case the bio ethanol fireplace tilts or fall downs. In addition, this protection ensures even bioethanol combustion in the entire volume and prevents the release of odours. The bio ethanol fireplace heat output of about 4 kW. The price of this model reaches PLN 3500.